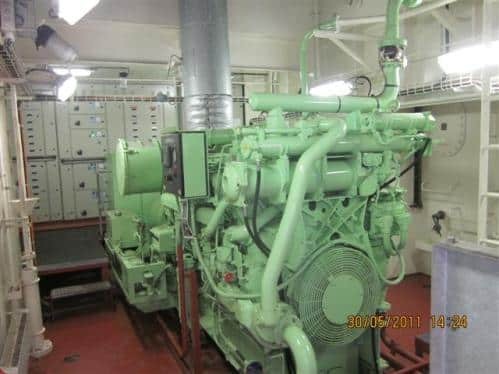 2 Important Drains in the Ship’s Engine Room | HOSEUNG Ent Co., Ltd. There are several drains provided in the ship’s engine room in order to prevent water clogging and damage to any machinery. Though all these are equally important, there are few that require regular attention. Most of you would know this for sure, but the fact remains that several mishaps happen due to improper handling and infrequent draining of these tanks. Mentioned below are two instances which explain the importance of these drains in ship’s operations. 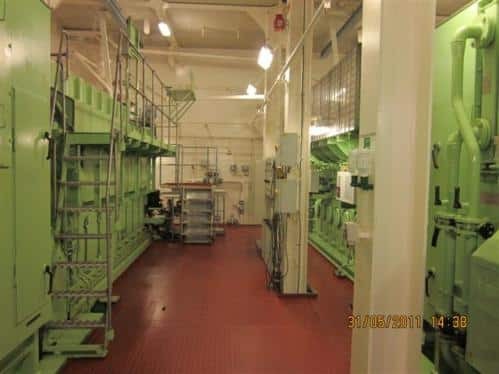 On one of our previous ships, we had an anchorage of 24 days and in this period everyone in the engine room forgot to drain the water from Fuel Oil settling and service tanks in the ship’s engine room. We then suddenly received orders to move the ship. After a few hours, the engine slowed down and an overload alarm appeared on the engine control room panel. We immediately tried to find out the reasons for the overload alarm and realized that the viscometer was showing “high viscosity” level. After some brain-storming, it was decided to check the service tank drains. The junior engineer, who was assigned the task of checking the drains, came back saying that oil and not water was coming from the drains. However, when asked to drain more, a large amount of water discharge was found. Luckily the generators were on Diesel oil (D.O) which helped prevent the blackout on the ship. Moreover, we had two settling tanks, so removal of water was much faster, but we missed the convoy at Suez as the engine RPM did not increase until “good quality” oil came in the line and the viscosity reached near normal. We should have drained the tanks every day until we saw (Collecting the drain in suitable container- half cut soft drink can) no water coming. In our case, the drain pipe end was ending too deep in the funnel so the contents could not actually be seen. It is thus extremely important that what is coming out of the drain is clearly seen. In dry dock, while cleaning Fuel Oil service tanks, a senior engineer must carefully check the drain from both inside and outside. The steam heating coils must also be pressure tested at this occasion. Air bottles are important for supplying air to the marine engine air starting system and for other important purposes. On a new ship, it was found that we were draining water not from the Air bottle bottom drain but from a drain on the filling line. Below the filling line drain, a funnel was installed which was quite familiar to the air bottle drain funnel. The motorman was so sure about the drain that no senior officer bothered to cross check. Then, one day we got a doubt about the quantity of water draining from the funnel, which was of course not of the quality we expected. Upon opening the air bottle manhole door it was found that the water was filled up to quite a high level and luckily it did not find its way into the main engine, else there could have been a massive damage to the engine or even injury due to water hammer. The Air bottle was then cleaned and the defect was rectified. 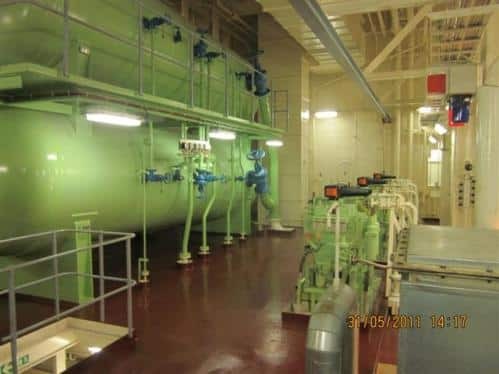 Nowadays, it is often seen that the tracing of pipelines in ship engine room is not done properly, mainly because of shortage of crew members and fast turnarounds. Efforts should thus be made to trace the pipelines once in a while. While opening air to main engine, moisture must be drained from the bottom most point of the line. Air driers and control air line filters must also be regularly checked. These days quarantine inspection has also become important. The cold room holding provisions thus must be kept clean. Meat room and fish room drains should be checked (put a handful of salt in them), along with the unit cooler pan heater and drain.